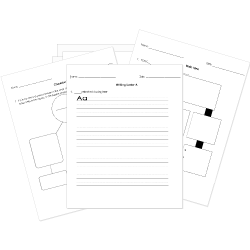 You can create printable tests and worksheets from these Grade 12 Authors questions! Select one or more questions using the checkboxes above each question. Then click the add selected questions to a test button before moving to another page. Amy Tan's novels often address which theme? Which of the following is not something Virginia Woolf believed women needed to be a writer? Shakespeare wrote 130 poems or plus 37 plays. Which of the following lines or phrases have become famous sayings in popular culture or titles of other authors' works? George Orwell's real name is Eric Blair.